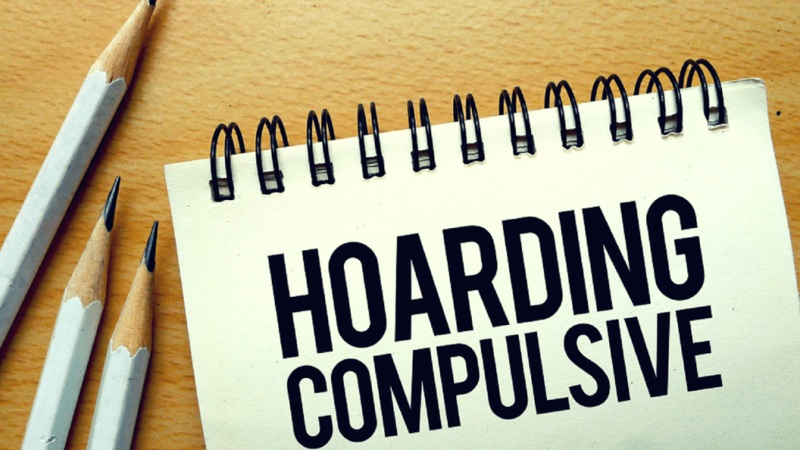 Hoarding could cause a lot of problem in the long run. Being a hoarder can lead to a large number of problems, especially if a person develops a profound attachment to their belongings. When moving out, or simply doing a general cleaning, a hoarder will always find it difficult to let go of unnecessary things. Later on, they may even add more excessive quantities to the items they hoard or refuse to throw out things that have no value (rubbish) or are rotting or otherwise dangerous and unpleasant to have in a home. Eventually, the place that was once a space of comfort and relaxation will turn into a storage area full of things no-one needs. While it is human nature to be attracted to new things, and to form an attachment to things that bring up memories, there are many ways you can control yourself. In order for you to avoid these situations, here are tips on how not to be a hoarder. Ask for help from a mate, family member, or a neutral third party. Asking for assistance from people who are not experiencing the same attachment you have for your hoarded stuff is the first thing you have to consider. This way, you give yourself a chance to hear an objective point of view as to what things do you actually need and what you have to get rid of. These people will help you in finally disposing of piles of items which are no longer usable and/or purposeful. Question yourself as to why you are still keeping it. Do you still use it often? If not, then dispose of it. Do you own excessive quantities of the same exact item? If yes, then dispose some of it and leave only what you will use for sure. Unless it is something that encapsulates a sentimental memory (like a wedding gown), it is time to throw it away. So, if you have not worn those clothes in the past years because they no longer fit you, then it is time to bid them goodbye. Decide right away – do not put it off for later. You might come across an item which gives you a hard time to decide as to whether you should still keep it or not. The tendency is to put it off for later, saying you will have to think about it first. However, such action will only lead to you still keeping the thing regardless of its lack of purpose. In order to stop yourself from doing that, you should just get it done with the first time. Do not fool yourself into saying you will decide later, as that usually ends up into hoarding more stuff. Handle the thing only once, then decide right away if you still need it or if it has to be given (or thrown) away. If you are really undecided, place the things in a box. Here’s a technique if you really can’t make a decision: gather all the things you really cannot get yourself into deciding about throwing away or keeping. Seal them in a box. Make a deal with yourself that if the box remains untouched for six months, then you will have to toss it (and its contents) away. This technique is especially helpful for those people who tend to hoard magazine issues dating from way back. Those who keep travel toiletries they do not really need now (or in the near future) can also make use of this strategy. Saying you are ‘organising’ your stuff often means you are just relocating it. It does not change the fact that there might be items there that are no longer purposeful. They are still occupying precious spaces in your home. The key is this: simply dispose what you do not actually use and you will see how organised your place could be. Need help for an easy rubbish removal process? Lake Macquarie Skips will provide you with a wide variety of skip bin choices, not to mention professional staff and drivers. Book us online or call us at 0452 22 55 88.